Data analysis can answer complex questions and give you a new perspective on a business function or procedure. The reality is, your competitors may well already be using data analytics to gain a competitive advantage. The collection and analysis of large amounts of data can open doors for your business. Big Data and its analysis should be seen as an achievable business investment with a very real return on investment. 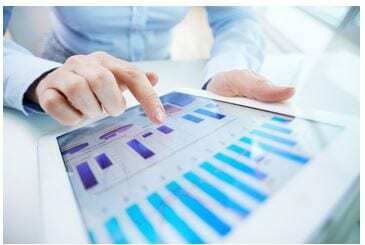 A recent survey from Carbonite (a software company) revealed that most small to medium-sized enterprises (63%) were either carrying out or planning to carry out data-driven projects this year. This figure underscores the fact that the size of a Company is not necessarily a barrier to the successful use of data. Big Data can be disruptive and transformative. Organisations of all sizes and especially SMEs should be aware of its considerable potential. The bottom line is that Big Data is prevalent and a priority for business today. There is a perception amongst SMEs that Big Data equates to a big price tag, but this is not true. In fact, the overall cost of the analytics tools required is lower than what you might expect. Subscription-based pricing: data analytics tools can be purchased by monthly subscription. Delivered over the Cloud on an as-needed basis, to scale with your needs and ambitions. Simple visual interfaces: today’s tools are much faster at processing large amounts of data than in the past. Displaying data in easier to read visuals, meaning your team reaches conclusions in a fraction of the time. Constant innovation: developers are working on the next big advancement, updated instantly in the Cloud. The above highlights the fact that the benefits of Big Data are attainable for SMEs. Below, we’ll look at how a typical SME can use Big Data in a practical way. Your data analytics hub is the central point where you’ll collect and crunch that valuable information. For SMEs, the key is to play to your strengths: use your flexible infrastructure and be willing to change practices quickly. There are plenty of online and cloud-based options available to help you combine that existing data you have on your Customers with external data e.g. market trends, to uncover new insights. For example, our real estate agency can mine Census information, Consumer Surveys, an inventory of homes for sale and rent, geographical information and combine this data with their own user-generated content to provide current and potential customers with precise information about their property’s value. Plus, they can understand home-value trends within an area or postcode. Knowing what potential customers and visitors to your site are looking for is invaluable for a small real estate agency enabling you to produce much more targeted marketing of your inventory. Collect and process data and geo-demographical services with a cloud-based data analytics tool to provide detailed insight into customer profiles, which you can then use to help figure out potential new store locations. You serve locally sourced food. Using an online software that works with point-of-sale systems to crunch your customer and payments data you could surprise and attract customers in smart new ways. You could discover what your customers order most often (for example, the salmon) and let them know when a fresh catch comes in. The advantages of the Cloud, as well as the growing list of tools that any business can utilise, means creating a Big Data analytics hub is not the large, resource and time consuming endeavour that it might have seemed like even five years ago. With a good plan and the right objectives, your business can prosper from the significant benefits that an analytics hub will bring!